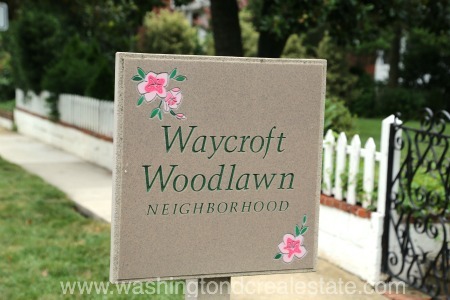 Waycroft-Woodlawn is a peaceful community of 586 single-family homes located in northern Arlington County, Virginia. The heavily wooded area still bears remnants of its origins as a series of scattered farms in the early 1800s. At the heart of the neighborhood is Woodlawn Park, marked by the Lubber Run stream, picnic facilities and a number of trails and paths that are used throughout the year by walkers, joggers, skaters, and cyclists. The housing stock offers a number of architectural styles popular during the 1920s, 30s, and 40s – all flanked by stately trees and winding roads. Waycroft-Woodlawn is bounded by Glebe Road, I-66, 17th Street, and George Mason Drive/Frederick Street.